Suspected back pain or dysfunction is a common cause for owners to seek veterinary advice. Cases presenting with perceived back pain are often challenging due to the large number of possible underlying causes (Jeffcott 1980). Back pain may be the primary complaint or could be part of a broader poor performance issue. In order to reach a diagnosis, it is important to have a systematic approach to the diagnostic process, often aiming to systematically rule out common causes of back pain before arriving at the correct diagnosis. Successful treatment requires identifying the underlying problem as well as considering other contributing factors such as lameness, sacroiliac or neck pain, saddle fit and the exercise regime. The main problem encountered when investigating back pain is the lack of a ‘gold standard’ test. Horses exhibiting signs such as rearing, kicking out, bucking or hypersensitivity to grooming or palpation of the back, frequently prompt further investigations into a potential back problem. The clinical examination is a vital part of investigating horses with suspected back pain. The physical examination should follow a systematic approach and is the same as any other orthopaedic case. It is important to palpate the limbs as well as the head and neck in order to identify possible contributing factors. Horses presenting with back pain sometimes have a strong aversive reaction to back palpation. It is, therefore, advised to leave the thorough palpation of the back until last. Clinical signs of back pain may include reduced mobility, swelling or heat. Pain may be elicited by spinal mobilisation or by pressure applied to the dorsal spinous process and the epaxial musculature. The horse’s back should be approached carefully. Sudden, firm pressure could cause the horse to react with aggression or anxiety, even in absence of back pain, which frequently leads to misinterpretations. Depending on the patient’s temperament, the interpretation of findings during the physical examination can be challenging. Following the physical examination the horse should be assessed dynamically, ideally both on the lunge and under the saddle. Any asymmetry of the gait should be investigated, as back pain and concurrent lameness is common (Zimmermann et al, 2011). Horses deemed to be unsafe to ride, due to exhibiting dangerous behaviours, can be assessed with tack on the lunge or with a weighted surcingle. The majority of clinical signs associated with back pain have not been measured yet and, therefore, the investigation is primarily subjective. The ‘gold standard’ for the objective assessment of back movement is 'optical motion capture'. This technique is highly accurate but restricted to the gait laboratory or treadmills and is not applicable for the use in the field. Alternatively, wireless inertial sensors can be used to collect kinematic data. This technique can also be used to assess for gait asymmetries and evaluate interactions between horse and rider (Pfau et al, 2007, 2009). When compared to optical motion capture, inertial sensor data showed a good level of consistency and an acceptable accuracy for back movement (Warner et al. 2010). Horses compensate hindlimb lameness by adapting spinal movement, which becomes evident as a reduction of range of motion at the lumbosacral junction and extension of the thoracolumbar region (Buchner et al 1996; Alvarez et al 2008). By abolishing the hindlimb lameness with diagnostic local anaesthesia, these asymmetries and reduced range of motion can be reversed (Greve et al 2017). Saddle slip was observed in a large proportion of horses with hindlimb lameness, probably partly due to asymmetrical epaxial muscling (Greve et al 2013). Furthermore, saddle slip could be corrected by abolishing hindlimb lameness, suggesting that asymmetrical thoracolumbar movement in lame horses is the cause. A study assessing back dimensions of sport horses over time showed that lame horses had a reduced ability to develop normal epaxial musculature (Greve et al 2015). Due to the close association of lameness, spinal movement and back pain, gait asymmetries should not be overlooked and both should be investigated and treated accordingly. Diagnostic imaging modalities for the back include radiography, ultrasonography and scintigraphy (bone scan). Standard imaging modalities allow the assessment of the most relevant areas of the back. Gamma scintigraphy might be useful to further assess radiographic and ultrasonographic suspicions or findings. Furthermore, bone scan allows the assessment of bigger breeds, where standard imaging modalities are insufficient due to poor or non-diagnostic image quality. Ultrasonography of the articular process joints of the back is frequently compromised in horses with significant soft tissue coverage. It is important to carefully interpret imaging findings and confirm their clinical significance with diagnostic local anaesthesia or trial medications, where possible. • Radiography allows the visualisation of the vertebral column, intervertebral articulations (IVAs/’facet joints’) and vertebral bodies to a varying degree, depending on location, equipment and patient size. Latero-lateral views as well as oblique projections can be obtained. Standard radiographs ideally include three to five overlapping latero-lateral radiographs using radiopaque markers, such as coins, for orientation. Collimated views of specific regions of interest can help to increase image quality by reducing scatter. Main limitations of the technique include attenuation and inability to visualise lumbar vertebral bodies. Care should be taken when interpreting or measuring interspinous spaces (ISS). Geometric distortion markedly affects the appearance of the spaces, depending on the shape and the distance of the dorsal spinous processes to the focal spot emitting X-ray beams (Djernæs et al 2017). Furthermore, the head position influences the distance between thoracic dorsal spinous processes and it is therefore advised to acquire back radiographs in a neutral position with the muzzle at shoulder level (Berner et al 2012). To further assess intervertebral articulations, oblique projections are obtained with the beam angled 20˚ from ventral to dorsal and centred 15-20cm ventral to dorsal midline (Butler et al. 2000; Girodroux et al. 2009). The X-ray plate should be aligned perpendicular to the beam and as close as possible to the horse. The highly-curved shape of the ribs is causing superimpositions with to the thoracic IVAs. In the lumbar spine there is superimposition of the transverse processes and abdominal structures. • Ultrasonography of the back should be combined with the radiographic examination and is particularly useful to examine superficial soft-tissue structures and the intervertebral articulations. To assess all structures of interest, both linear and convex transducers are required. For the supra- and interspinous ligaments (SSL and ISL) longitudinal views are most useful. The images are best acquired with a high-frequency linear transducer using a stand-off pad. The head should be kept in a neutral position as high head carriage may cause relaxation of the SSL and therefore a hypoechogenic appearance. Superficial fibres of the SSL have a horizontal orientation whereas deep fibres of the ISL run in caudoventral direction appearing hypoechogenic in comparison. Care should be taken to position the probe exactly midline at the level of the dorsal spinous processes. The aponeuroses of the epaxial musculature can be imaged off-midline with a parallel fibre pattern similar to the SSL. In the thoracic (saddle) region the SSL is thin and wide, whereas further caudal in the lumbar region the ligament is thick and narrow with a more echogenic, homogenous appearance. The transverse view of the SSL is less useful due to being more prone to artifacts. In order to achieve the best image quality, the transducer should be tilted cranially and caudally. Published scientific data about the ultrasonographic appearance of the SSL in normal horses and horses with back pain offering information about the potential clinical significance is limited (Henson et al 2007). The clinical significance of heterogenous regions in the SSL should therefore be questioned and further tests, such as diagnostic local anaesthesia, should be applied. Deep to the ligament the fibrocartilaginous cap, visualised as a hypoechogenic line of approximately 1mm, is visible and runs parallel to the hyperechoic line of the DSP bone surface. The ISS cannot be assessed fully and a statement about potential iminging DSPs should not be made based on ultrasonography alone. The intervertebral articulations can be examined ultrasonographically, both in sagittal and frontal planes, using a convex transducer (Denoix 1999a; Reisinger and Stanek 2005). The anatomy and ultrasonographic appearance of the joints change slightly from cranial to caudal. The mammillary process is more prominent in the thoracic spine and the joint is positioned further axial and closer to the DSP compared to the lumbar region. Signs of pathology in the intervertebral articulations (see Figure 4) include new bone formation and an enlarged outline of the facet (Denoix and Dyson 2003). Muscle asymmetries are common in horses with back pain. Measuring the multifidus muscles may add objective information during back investigations and is easily applied. Furthermore, progress made following treatment and training can be measured by re-assessing m. multifidus symmetry (Halsberghe et al 2017). • Scintigraphy is commonly applied to further image the back in cases where the standard modalities were inconclusive or specific findings require advanced diagnostic imaging. Mild increased radionuclide uptake (IRU) associated with the DSPs is a common finding in horses without clinical signs of back pain (Erichsen et al 2003, 2004). A study of Zimmermann et al (2011) looking primarily at the spinous processes of the thoracolumbar spine showed that the severity of radiographic lesions was associated with scintigraphic abnormalities. DSPs at T14-T17 were most commonly affected. Horses with severe DSP lesions were more likely to have osteoarthritis in the IVAs. But there were also horses with radiographic evidence of ‘kissing spines’ that had no IRU associated with DSPs on bone scan images. Moderate or severe IRU associated with the IVAs was more likely seen in horses with clinical signs of back pain than in normal horses in a study from Gillen et al (2009). The advantage of applying scintigraphy is the ability to identify dynamic processes of bone modeling and remodeling associated with the entire spine. These processes are either adaptive or pathologic and require careful interpretation, as findings are not necessarily associated with pain. Bone scan is a useful diagnostic tool to help ruling out other regions possibly mimicking back pain, such as the sacroiliac joint region. Diagnostic local anaesthesia is considered the most important test to confirm that clinical signs of back dysfunction are associated with impingement of DSPs (Walmsley et al 2002). Horses that tolerate injections, are safe to ride and show a consistent, repeatable problem or behaviour are most suitable candidates. The effect of diagnostic local anaesthesia is usually assessed by performing a ridden examination (or other exercise test) before and 10-20 minutes after infiltration of the local anaesthetic solution (Marks 1999; Walmsley et al 2002; Denoix and Dyson 2003). The test is considered positive, if a marked improvement of performance can be recognised by both the rider and the veterinary surgeon. Interpretation difficulties without objective measurements such as interpretation bias should be borne in mind. In a study of Roethlisberger Holm et al (2006) the back of horses without clinical signs of back pain or lameness was infiltrated with local anaesthetic solution. Kinematics of the back were measured showing an affect on the function of the back. An increased range of motion for dorsoventral flexion-extension resulting in improved flexibility was possibly due to an altered neuromuscular activity by injections made into the multifidus muscle. These findings should be taken into account to avoid false interpretation. Underlying causes for back pain can be grouped into three main categories: Pathology-causing primary back pain; pathology causing secondary back pain; and rider/tack-inflicted back pain. Furthermore, problems such as sacroiliac joint region pain, neck pain or rib fractures may result in clinical symptoms similar to the ones of back pain. An important part of successfully treating back pain is to include physiotherapy in the rehabilitation and to establish a suitable exercise programme depending on the individual case and underlying cause. There are a number of conservative and surgical treatment options available for primary conditions of back pain. Corticosteroid injections can be employed by infiltrating areas of DSP impingement or by ultrasound-guided periarticular injection of the articular process joints. Other treatment options such as acupuncture, mesotherapy, bisphosphonate medication and extracorporeal shockwave therapy may be considered by some practitioners. Surgical treatment options such as DSP resection or interspinous ligament desmotomy have been described and are available to treat ‘kissing spine’ syndrome. If lameness has been identified, it is important to diagnose and treat the lameness prior to treating the back in order to achieve successful and long-lasting results. Alvarez CG, Bobbert M, Lamers L, Johnston C, Back W, and Weeren, PV. (2008) The effect of induced hindlimb lameness on thoracolumbar kinematics during treadmill locomotion. Equine Vet. J. 40, 147-152. Berner D, Winter K, Brehm W, Gerlach K. (2012) Influence of head and neck position on radiographic measurement of intervertebral distances between thoracic dorsal spinous processes in clinically sound horses. Equine Vet. J. 44, Suppl. 43, 21-26. Buchner H, Savelberg H, Schamhardt H, and Barneveld A. (1996) Head and trunk movement adaptations in horses with experimentally induced fore- or hindlimb lameness. Equine Vet. J. 28, 71-76. Butler J, Colles C, Dyson S, Kold S, Poulus P. (2000) The Spine. In: Clinical Radiology of the Horse. 2nd Edition, Blackwell Science Ltd, pp. 403-454. Coomer, RPC, McKane SA, Smith N, Vanderweerd J-ME. (2012) A Controlled Study Evaluation A Novel Surgical Treatment For Kissing Spines In Standing Sedated Horses. Vet. Surg. 41, 890-897. Cousty M, Firidolfi C, Geffroy O, and David F. (2011) Comparison of Medial and Lateral Ultrasound Guided Approaches for Periarticular Injections Of The Thoracolumbar Intervertebral Facet Joints In Horses. Vet. Surg. 40, 494-499. Denoix J-M. (1999a) Lesions of the vertebral column in poor performance horses. In: Proceedings of the World Equine Veterinary Association Symposium. pp 99-107. Denoix J-M. and Dyson SJ. (2003) Thoracolumbar spine. In: Diagnosis and Management of Lameness in the Horse, 1st edn., Eds: MW Ross and SJ Dyson, WB Saunders, St Louis. pp 509-521. Djernæs J, Nielsen J, Berg L. (2017) Effects of X-Ray Beam Angle and Geometric Distortion on Width of Equine Thoracolumbar Interspinous Spaces Using Radiography and Computed Tomography – A Cadaveric Study. Vet Radiol Ultrasound, 58(2),169-175. Erichsen C, Eksell P, Widstro¨m C, Roethlisberger Holm K, Johnston C. Scintigraphic evaluation of the thoracic spine in the asymptomatic riding horse. Vet Radiol Ultrasound 2003;44:330–338. Erichsen C, Eksell P, Roethlisberger Holm K, Lord P, Johnston C. Relationship between scintigraphic and radiographic evaluations of spinous processes in the thoracolumbar spine in riding horses without clinical signs of back problems. 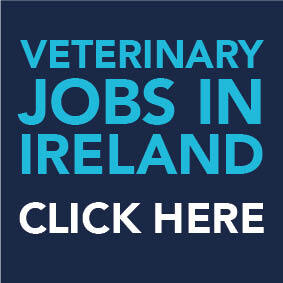 Equine Vet J 2004;36:458–465. Gillen A, Dyson S, Murray R. (2009) Nuclear scintigraphic assessment of the thoracolumbar synovial intervertebral articulations. Equine Vet. J. 41 (6) 534-540. Girodroux M, Dyson S, and Murray R. (2009) Osteoarthritis of the Thoracolumbar Synovial Intervertebral Articulations: Clinical and Radiographic Features in 77 Horses with Poor Performance and Back Pain. Equine Vet. J. 41, 130-138. Greve L and Dyson S. (2013) An investigation of the relationship between hindlimb lameness and saddle slip. Equine Vet. J. 45, 570-577. Greve L and Dyson S. (2015) A longitudinal study of back dimension changes over 1 year in sports horses. Vet. J. 203, 65-73. Greve L, Dyson S, and Pfau T. (2017) Alterations in thoracolumbosacral movement when pain causing lameness has been improved by diagnostic analgesia. Vet. J. 224, 55-63. Halsberghe B., Gordon-Ross, P., Peterson, R. (2017) Whole body vibration affects the cross-sectional area and symmetry of the m. multifidus of the thoracolumbar spine in the horse. Equine Vet. Educ. 29 (9) 493-499. Henson F, Lamas L, Knezevic S, Jeffcott L. (2007) Ultrasonographic evaluation of the supraspinous ligament in a series of ridden and unridden horses and horses with unrelated back pathology. BMC Veterinary Research 3(3). Jeffcott L. (1980) Disorders of the thoracolumbar spine of the horse – a survey of 443 cases. Equine Vet. J. 12, 197-210. Marks, D. (1999) Medical management of back pain. Vet. Clin. N. Am. : Equine Pract. 15, 179-194. Pfau T, Robilliard J, Weller R, Jespers K, Eliashar E, and Wilson A. (2007) Assessment of mild hindlimb lameness during over ground locomotion using linear discriminant analysis of inertial sensor data. Equine Vet. J. 39, 407-413. Pfau T, Spence A, Starke S, Ferrari M, and Wilson, A. (2009) Modern riding style improves horse racing times. Science 325, 289-289. Quiroz-Rothe,E., Novales, M., Aguilera-Tejero, E. and Rivero,J.L.L. (2002) Polysaccharide Storage Myopathy in the M.Longissimus Lumborum of Showjumpers and Dressage Horses with Back Pain. Equine Vet.J. 34 171-176. Reisinger R and Stanek C. (2005) Sonographische Darstellbarkeit der Intervertebralgelenke an der Brust-und Lendenwirbesäule des Pferdes. Pferdeheilkunde 21, 219-224. Roethlisberger Holm K, Wennerstrand J, Lagerquist U, Eksell P, Johnston C. (2006) Effect of local analgesia on movement of the equine back. Equine Vet. J. 38 (1) 65-69. Walmsley JP, Petterson H, Winberg F, McEvoy F. (2002) Impingement of the Dorsal Spinous Processes in Two Hundred and Fifteen Horses: Case Selection, Surgical Technique and Results. Equine Vet. J. 34, 23-28. Warner S, Koch T, and Pfau T. (2010) Inertial sensors for assessment of back movement in horses during locomotion over ground. Equine Vet. J. 42, 417-424. Zimmermann M, Dyson S, Murray R. (2011) Comparison of Radiographic and Scintigraphic Findings of the Spinous Processes in the Equine Thoracolumbar Region. Vet. Radiolog. & Ultrasound 52, 661-671. Zimmerman M, Dyson S, and Murray R. (2011) Close, impinging and overriding spinous processes in the thoracolumbar spine: the relationship between radiological and scintigraphic findings and clinical signs. Equine Vet. J. 44, 178-184.